As the most popular white wine on Earth, Chardonnay is the perfect place to begin your white wine experience. The wood aging process creates vanilla flavors and a luscious, rich, rounder mouth feel to oaked Chardonnay. If this doesn’t please your palate, don’t overlook whites just yet. It may be that the fruitful flavors of unoaked Chardonnay are more to your liking. Unoaked Chardonnays are either aged in stainless steel or in neutral oak, which prevents the buttery vanilla flavors found in oaked Chardonnay from entering the wine. In their place, you’ll find the refreshing flavors of green apple, lemon, and pineapple, as found in our 2012 San Francisco Cup Chardonnay. 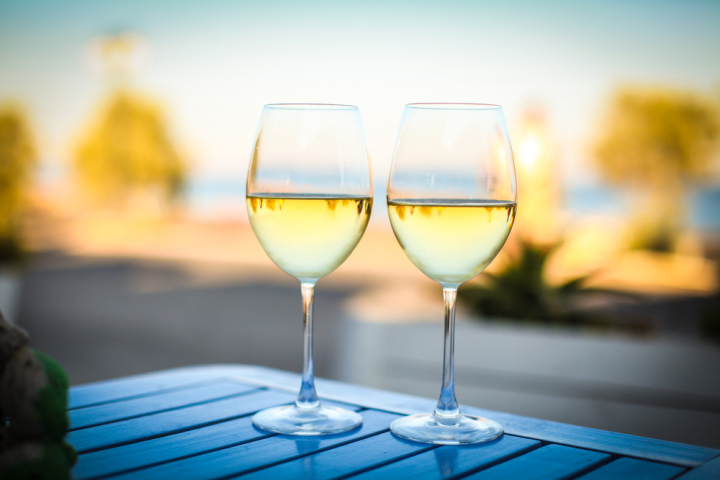 Sauvignon Blanc is the perfect wine for summer. It combines the smell of fresh cut grass and zippy acidity to create flavors that are as refreshing as lemonade on a hot summer day. Try our 2013 Estate Reserve Sauvignon Blanc or Madam Omo, which blends a touch of Semillon for added structure and texture. Pinot Grigio is the most popular white wine of Italy. The refreshing flavors of lime, lemon, and green apple are often dry and a perfect match for seafood. A great segway into whites for those with lighter palates. Originally from Germany, Riesling is full of crisp, clean flavors of lemon, lime, pineapple, and apricot. The dryness of this wine pairs well with summer grilling classics such as seafood and chicken. The sweeter version of Riesling contains floral aromas with the lush fruit flavors of citrus, apricot, and honey. This sweetness goes nicely with desserts.